Faiva Tagatauli lost consciousness at the end of a club game on Saturday and sadly passed away today. Faiva Tagatauli represented Samoa at U20 level. THE DEATH OF former Samoa U20 flanker Faiva Tagatauli on Thursday after a suspected head injury has rocked the country’s rugby fraternity, the Samoa Rugby Union said. The 27-year-old was playing for Club Vaimoso in the capital Apia on Saturday when he walked off the field, less than 10 minutes before the end of the match. He lost consciousness on the sidelines and was taken to hospital, where he is believed to have fallen into cardiac arrest and spent the next days ‘fighting for his life’, the Samoa Rugby Union said in a statement. Tagatauli’s club had ‘lost a popular team-mate,’ said the union’s CEO Faleomavaega Vincent Fepuleai. 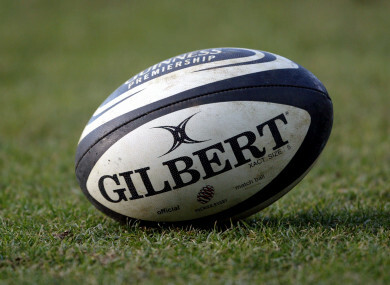 The player’s death comes at a time of rising concern over the effects of head injuries in contact sports such as rugby. South Africa’s Pat Lambie, 28, announced his sudden retirement last week, telling French sports daily L’Equipe he had suffered numerous concussions and “persistent post-concussion symptoms” as a result of his time in the sport. Email “Samoan rugby rocked by death of player from suspected head injury”. Feedback on “Samoan rugby rocked by death of player from suspected head injury”.